Doing yoga with your child is a special way of spending time with them. Yoga for Kids offers simple guidance for playful activities to help you bring the benefits of yoga and mindfulness into your child's life. Regardless of your own skill level, Yoga for Kids has practices and techniques that you and your child will be able to enjoy. As a former teacher and certified yoga instructor, Katherine Priore Ghannam has seen firsthand the positive affects of teaching yoga to kids. 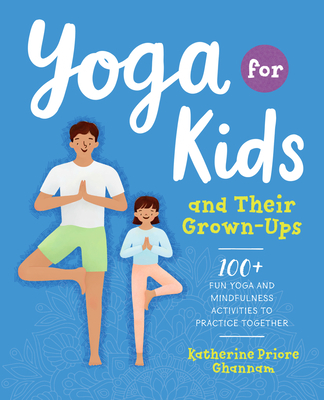 In Yoga for Kids, Katherine shows you exactly how to teach your child to disconnect from distractions and connect with themselves-right at home. From down dog to walking meditations, Yoga for Kids provides everything you need to teach your child yoga and mindfulness techniques. With Yoga for Kids your child will learn healthy ways of playing with their bodies-and with you.